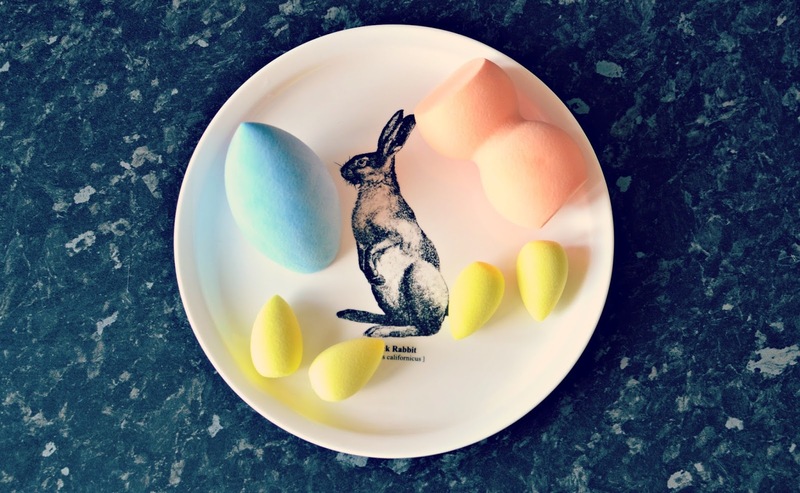 Beauty sponges have been an essential tool for makeup lovers for a few years now, but I'd never really got on with them or seen the hype. I've tried a few over the years, mainly, I think, not very good ones, which probably accounts for my rather dim view of them when compared to my beloved Real Techniques buffing brush. I reviewed a Nanshy sponge here and a couple from Love Me Beauty here, and both were ok, but not enough to make me want to abandon applying my base makeup with a brush. I also used a couple of cheapies from Primark which were awful, like trying to put on foundation with a pumice stone! In this regard I had sort of given up hope on ever finding a sponge I liked, and I wasn't convinced I should spend over the odds on one from Real Techniques in case I didn't get on with it. I picked one up in H&M recently for £1.99 and it was the first one I'd tried that I actually really liked, and on inspection I found it was latex-free, which I think goes a way to making it a better sponge. These sponges are supposed to give you a seamless look when applying foundation, with no brush marks, and it's also meant to make your foundation application quicker. To use, you dampen the sponge and it expands in size (or is meant to) and then I usually dot the product over my face and use the beauty sponge to blend it out. I used the H&M sponge a few times but was disappointed that it split really early on, making it tricky to clean and so I had to chuck it! I don't really shop in Primark anymore, but I was intrigued by the new 'PS Pro' beauty range that has recently been introduced into stores. I liked the look of the beauty sponges, so I thought I'd give one a try, and, if it was any good, I'd pick up a couple more. 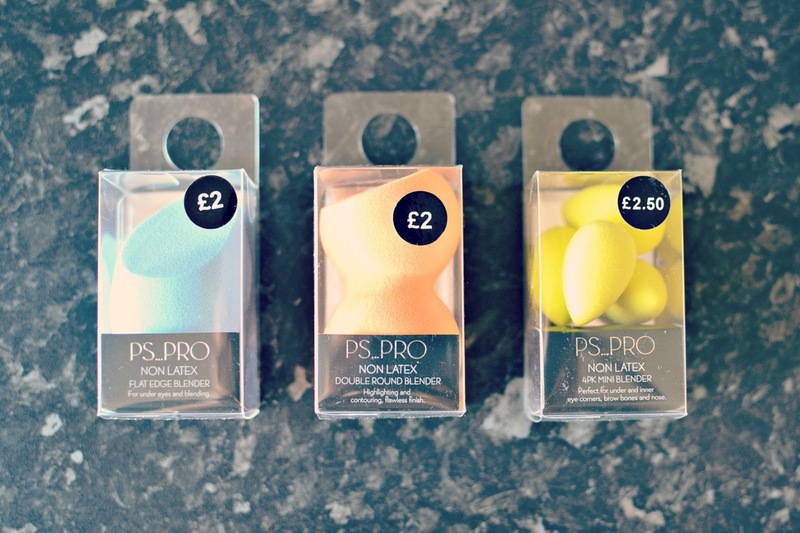 The Pro range is more expensive than the regular beauty items; a 2 pack of beauty blenders from the regular range were £1.50 but they are the ones that are hard as rocks and don't expand when wet! I chose the flat edge blender, double round blender, and the 4 pack mini blenders. The first picture above shows them dry, and the second picture dampened. I tried the double round blender first which is meant to be used for highlighting and contouring, but I just used it to apply my regular foundation and I was so impressed with it. The sponge itself is supersoft, and the material it is made from doesn't soak up the foundation when you apply it, as some beauty sponges can do. The shape is ergonomic and makes it easy to hold, and it's easy to clean; I just add a few drops of soap to the sponge and squeeze it out under the tap. 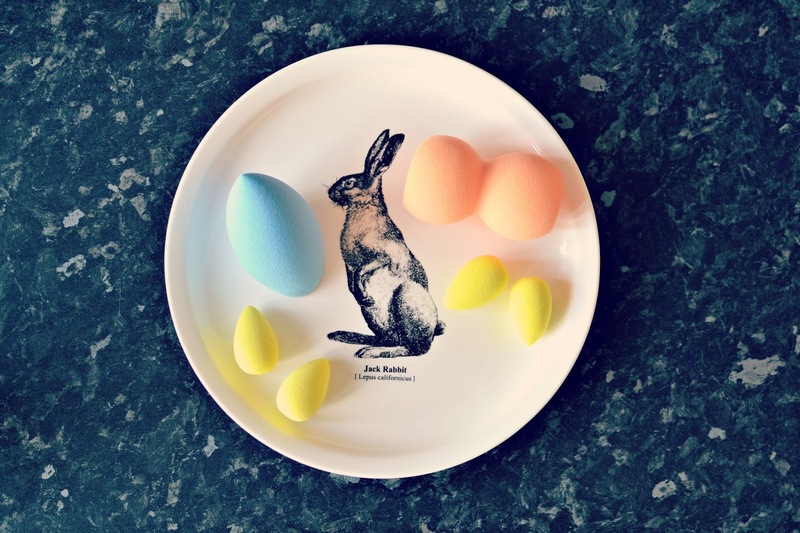 I have been using the flat edge blender most frequently, because the sharp edge and rounded end make it more in keeping with the classic 'beauty blender' shape that I'm used to. Again, it works really well and it is a really robust and tactile sponge, it moulds easily to the shape of your face and doesn't feel hard at all. Likewise, the mini blenders are also really useful - I use these for blending out concealer. Overall, I really recommend these blenders. I have used them constantly since I got them and I think I definitely prefer these over my makeup brushes (shocking, I know!) but they really do give a seamless finish and don't leave any marks like brushes can. They do also make applying foundation quicker! I hate applying base and doing my eyebrows equally, so anything that can make that a little faster is fine by me!